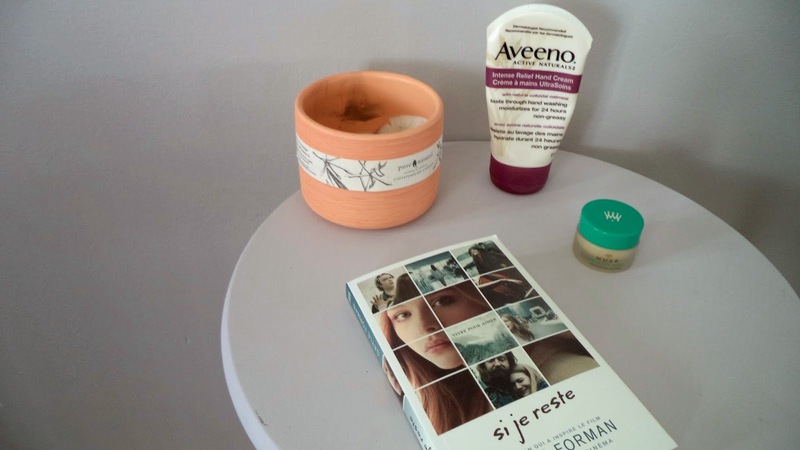 I already wrote about my evening skincare routine. Once my skin is fresh and free of all traces of makeup and impurities, I go right away in my bed! Some girls like to keep all their skincare products on their bedside table, but personally I like to keep only the essentials. OK, you might be tired of hearing me talking about this lip balm. I wrote an entire post about it so I will not dwell too much on the subject. But I’m OBSESSED! I apply a layer as soon as I go in my bed, just after I brushed my teeth, and I reapply several coats before falling asleep. Thanks to this little baby, I wake up in the morning with super soft lips! 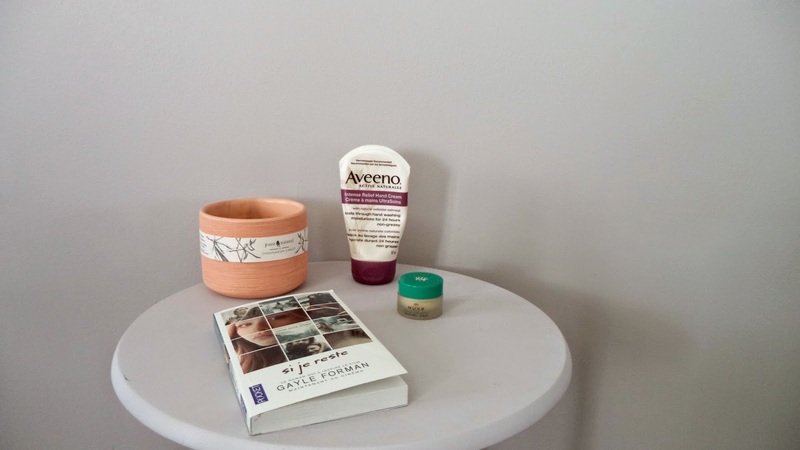 Currently, I use the hand cream Intense Relief from Aveeno. I’m not totally convinced of its effectiveness, especially during our cold Canadian winter. I know that many girls like it when the cream is light and quickly absorbed, and in this case this cream might be for you. But I personally like when the texture is creamy and thick, so I’m still looking for the hand cream of my dreams. If you have suggestions, feel free to leave a comment bellow. As cliché as it may seems, there is always a candle near my bed. It creates such a cosy and relaxing atmosphere. At the moment, I don’t light it really often cos it's my last one and I’m trying to save it. But don’t worry, a trip to the city is planned very soon to restock a bunch of candles. I admit it, I read a lot less than when I was younger. Right now, I tend to spend my evenings watching too many episodes of The Simpson / American Dad / Family guy (episodes that I’ve seen a billion times…). But I really want to read more! The last book I read was “If I stay” by Gayle Forman, and I literally read it in a few hours! My next readings are “Wild: From Lost to Found on the Pacific Creast Trail” by Cheryl Strayed and “The 5th Wave: The Book of the 5th Wave Series” by Rick Yancey. And you, what’s on your bedside table?